Anderson Jones Attorney Caroline Trautman recently spotlighted in North Carolina Bar Association’s blog a young attorney who is making good things happen via pro bono counsel and how other attorneys can get involved. Caroline is a member of the North Carolina Bar Association’s Pro Bono Committee and along with other attorneys from Anderson Jones, PLLC represents those affected by natural disasters through the North Carolina Disaster Legal Services (DLS) effort. The DLS pro bono program provides disaster-related resources and services to the public and attorneys. 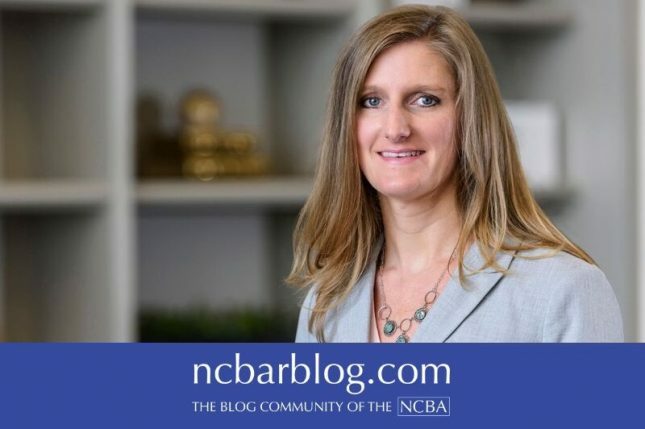 Click here to read Caroline’s article titled “Pro Bono Spotlight: Molly Gross, NCBA Disaster Legal Services Volunteer”.